I wanted to thank you for my “experience”. It was truly beyond anything I ever would have possibly imagined. I knew there was a reason why I needed to come to Sedona. It has changed me & given me a sense of calm in my life I never had before. For me, It was the most spiritual experience possible.I am confident this event will never be surpassed. It remains with me to be held & cherished it forever. Yes, I was a teacher but I know that this Wolf was “my teacher”. He was there at a time for a reason & to teach me about myself. I cannot thank you enough for being the conduit to allow this message to come to me. This is a very transformational day for you! 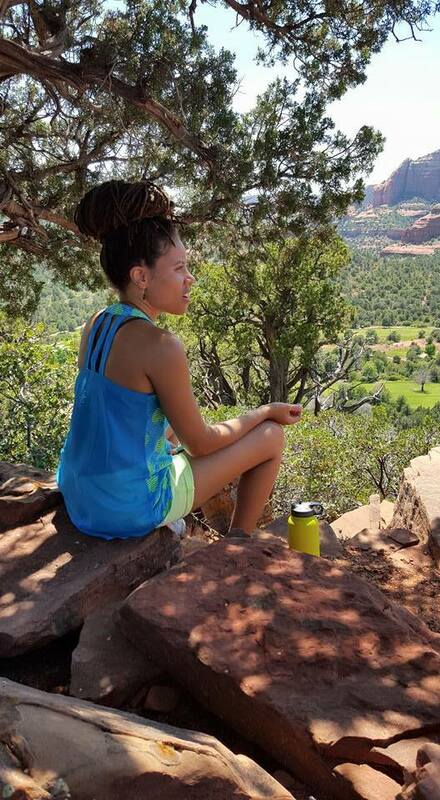 Benefit from the spiritual and healing aspects of Sedona to bring you into mental, emotional and spiritual balance! It is your personal time for introspection, meditation and insights into your life path. We take you to Sedona vortexes for clearing and letting go of all that doesn’t serve you anymore. Then we enter the Medicine Wheel as the culmination of your spiritual journey. The Medicine Wheel ceremony is a powerful shamanic, ancient Native American ceremony that will allow you to get deeper into your inner guidance and finally, the new direction of your life. This is an exclusive private tour, for private parties. 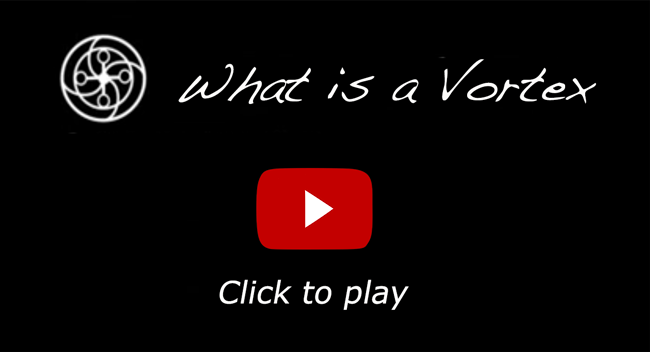 Spiritual Vortex Meditation – Deeply relax and let go of that which doesn’t serve you anymore. 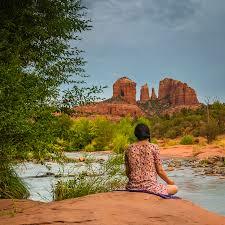 You will experience the deep peace, and the healing aspect of Sedona. You will know why Native Americans considered Sedona a sacred, healing land. You will enter a peaceful meditative state that will stay with you for some time. There are no other people on this tour. It’s your own personal “me time”! $199 per person $179 per person for 2 people or more. 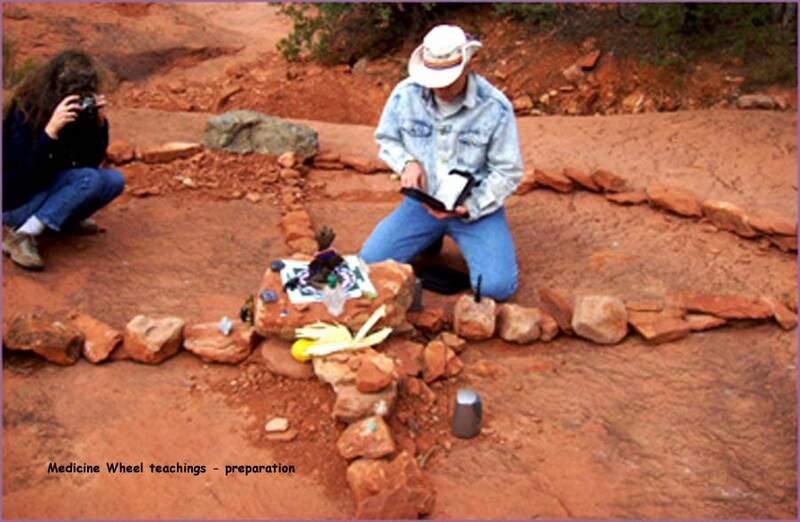 Red Earth Adventures started as Sacred Land Tours, a spiritual Vortex Healing Tour and Medicine Wheel company in 1998. 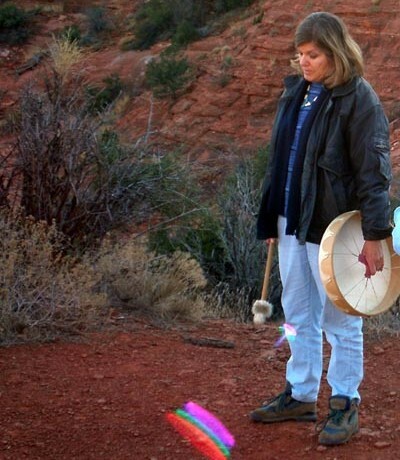 Margareth draws upon her deep connection to the land with its nurturing and healing properties to assist people in highly transformational healing journeys at Sedona’s sacred places and the power of the Medicine Wheel. All Vortex tours (journeys) are private! This is your personal healing and nurturing time! This is your spiritual journey! There is very little talking during the vortex healing tours. It is your time to go inward and connect to yourself! We just take you there and gently assist. We will assist you in letting go of that which doesn’t serve you, connecting you to your heart, inner joy, peace and higher guidance. There is no hiking however, there is some walking involved. 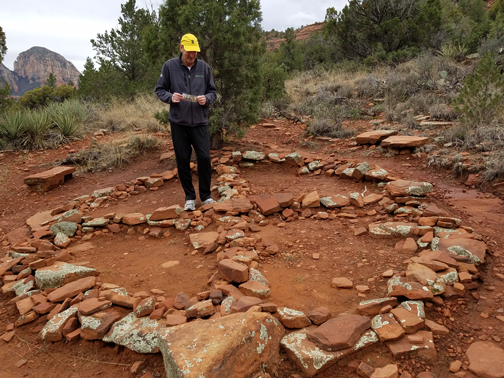 “The Medicine Wheel ceremony is an ancient, shamanic and powerful self transformational teaching that will answer many questions about your life and bring you back into your center, to the place of calm and knowingness. Our own individual life is closely intermingled with the Circle of All There Is. A Medicine Wheel is a circle of rocks that are usually placed somewhere in nature. It is not a symbolic activity! It is indeed very real, and it will bring up many spiritual revelations for you. This Native American ceremony has been practiced by indigenous people over centuries as a powerful tool of self discovery, spiritual cleansing, healing, and positioning ourselves back in “our center”, our true self, manifesting it in our daily lives. How are you walking your life? What energy are you creating? Am I following my truth in speech and actions? Am I being of service? Am I happy with my life as it is presently? You will be asked to face and contemplate upon these and other questions. The drum was (and still is) the most important tool of the Shaman. The drum is used for meditating, healing, grounding, centering, invocations of guides and spirits, expanding one’s consciousness and last but not least….dancing (yes!). The deep, earthy sound of the drum beat reminds us of the earth. 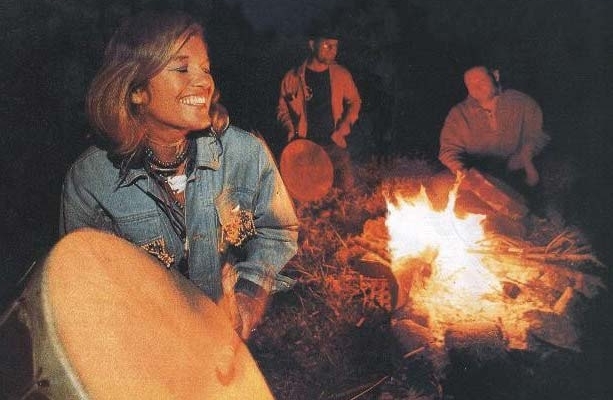 The reason the drum has such a vital importance in healing work is because its deep, earthy sound represents the Heartbeat, the life-force – the Heartbeat of Mother Earth, the loving, always giving, nourishing, nurturing, life-giving, abundant Mother Earth. As we long for these qualities in ourselves, the drum’s sound brings us deep into the womb of the Mother, making us feel safe, nurtured, secure, loved and at peace. “The Heartbeat is strong and it connects all life…. The Heartbeat, in its essence, is the Heartbeat of All There Is…There is no separation. We all have the same Heartbeat. And with every single beat of the Drum we connect to the Heartbeat of All There Is. When you feel down, lonely, confused, insecure, unsettled, sad, angry, hurt, not knowing what to do next -Take The Drum and Play. It will connect you to the Heartbeat, and you will know! Deeply relax and let go of that which doesn’t serve you anymore. Spiritual energies. It is a very soothing and healing experience. Photography Tours, Walking Tours, Indian Reservation Tours. Please inquire for rates and duration. Guest minimums required on all tours. We reserve the right to cancel a tour if guest minimums are not met or due to weather. Cancellations with less than 24 hours notice and no-shows are non refundable. Tours do not include taxes and gratuity.